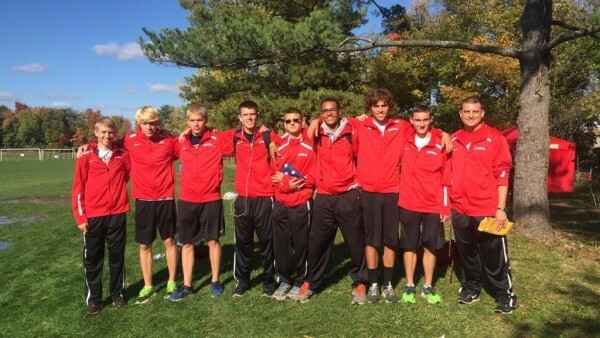 Starting off the season right with wins at the Wapahani Invite and the Ethan Cheesman Invite, the Wapahani Raiders boy’s cross-country team finished their season with their heads held high. They were county runner-ups, sectional champs and semi state qualifiers, as well as finishing 15th as a team in semi state. Nathan and Alex Herbst who set season bests of 16:41 for Alex and 16:35 for Nathan led the team. The team as a whole improved their times, with everyone finishing the season under 20 minutes. The team consisted of 2 seniors (Cameron Hollingsworth and Stuart Brand), 3 juniors (Nathan and Alex Herbst, and Solomon Johnson), 3 sophomores (Fred Johnson, Evan Galbraith, and Blake Ellis), and 1 freshman (Devian Johnson). Coach Stevenson is looking forward to the future of Wapahani Cross Country.